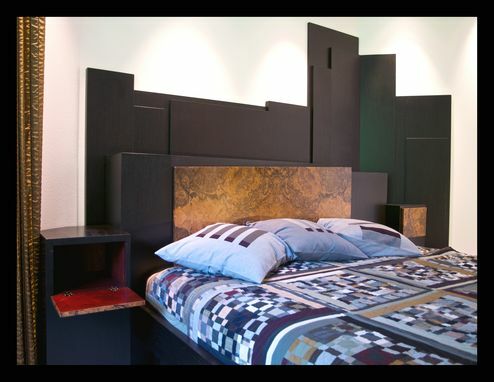 This is a custom bedroom project in Portland, Oregon, that had to fit in an unusual angled corner bedroom. My interest for the last 12 years has been with my fascination with the Columbia Gorge Columnar Basalt rock formations. 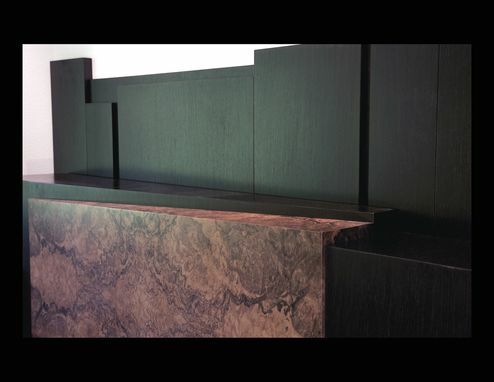 I find it an extraordinary architectural inspiration and has been the resource for ideas with many of my personal furniture pieces. 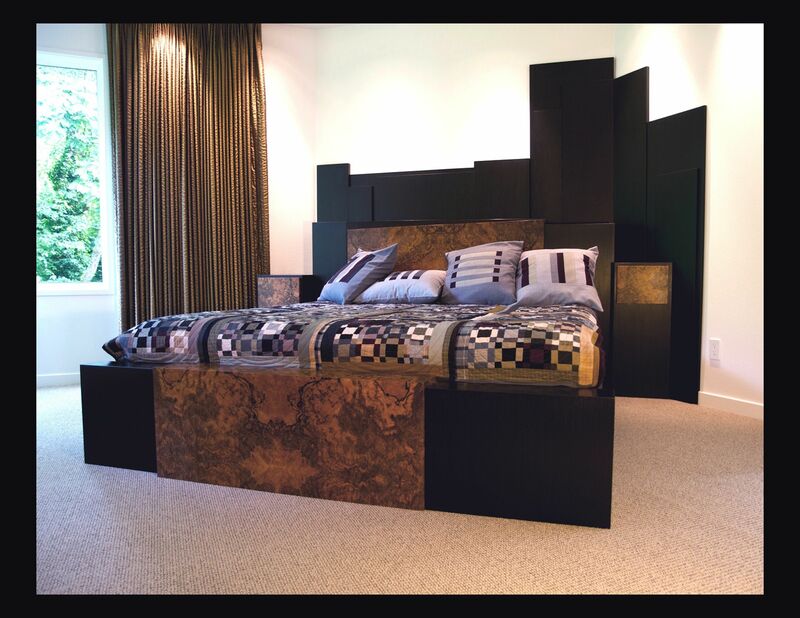 This bedroom suite, includes a TV viewing cabinet and a unique mantle in the same design style, is made of quartersawn white oak veneer and circassion walnut veneer. This piece includes built in bedside tables for storage and trundle storage under the bed as well.